Hi Crafty friends, I have another lovely project, to share with you all today! I am entering this project the CC/Colour Challenge over at Splitcoast Stampers, hosted by Mary Marsh. The chosen challenge colours this week are bashful blue, raspberry ripple & primrose petals. I unfortunately did not have these exact colours at hand, so I have made do with colours I have, and tweaked the colours with a bit of sponging! So I hope these colours will do for today’s challenge. 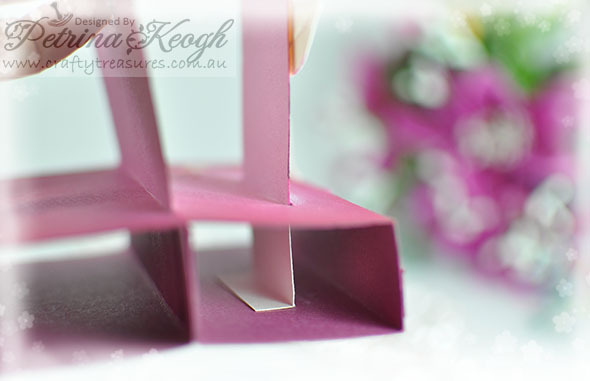 For the challenge this week I made this card into a “Double” Free Standing Popup Card. These nocturnal feathered friends, came out to play last night! I thought is was a bit cute with the Kaszazz – Ocar Owl, peeping over the top! I dry embossed and chalked the background with Stampin’ Up Chalks and also used Copic Markers. I sponged the cardstock with a few different inks and embellished it with some small punched flowers. 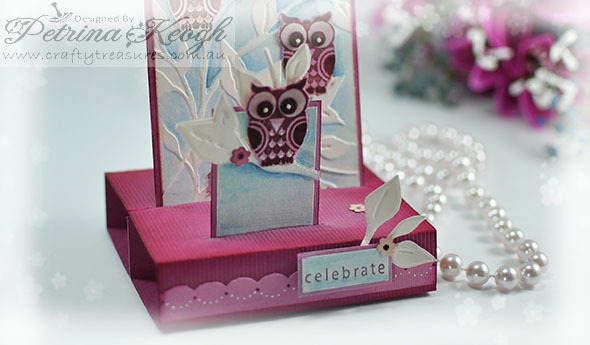 Here you can see how I added another pop up for some more dimension to this card. Make another slit and add your second popup. Happy Crafting! Thanks for popping by. This is so cute!!! I love the double pop up! TFS. 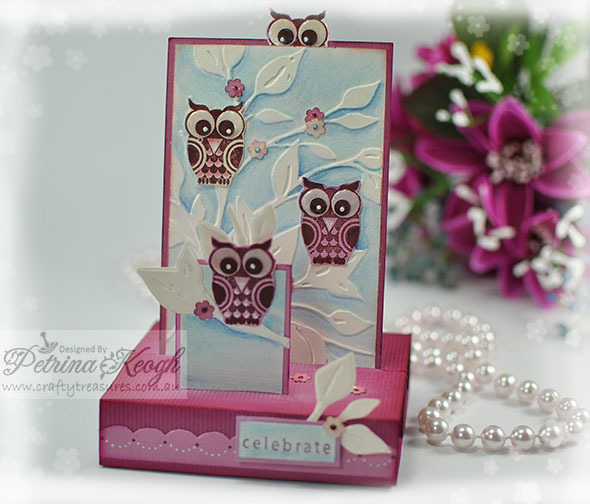 Trina, I just love this card with these cute owls, and the rest of your work is…. wonderful as always. Hi Petrina…came across your blog through Splitcoast Stampers and this card is the cutest thing I have seen in a long time! Love ya work!!!!!!! !